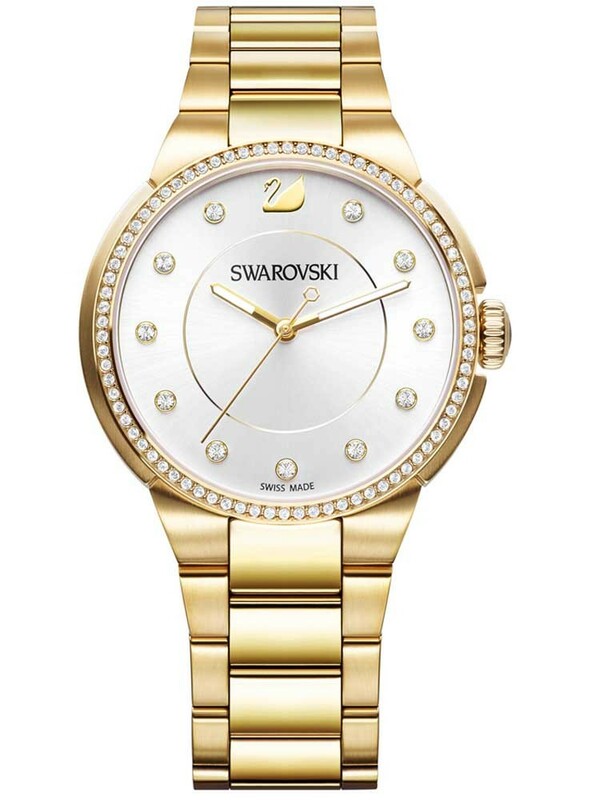 Presenting the beautiful gold plated ladies wristwatch from Swarovski. Part of the City Collection, the glamorous timepiece is made from a stainless steel case which houses a silver dial. 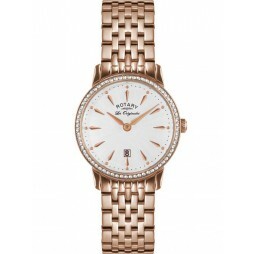 The dial uses clear crystals as hour markers and luminous hands to tell the time. 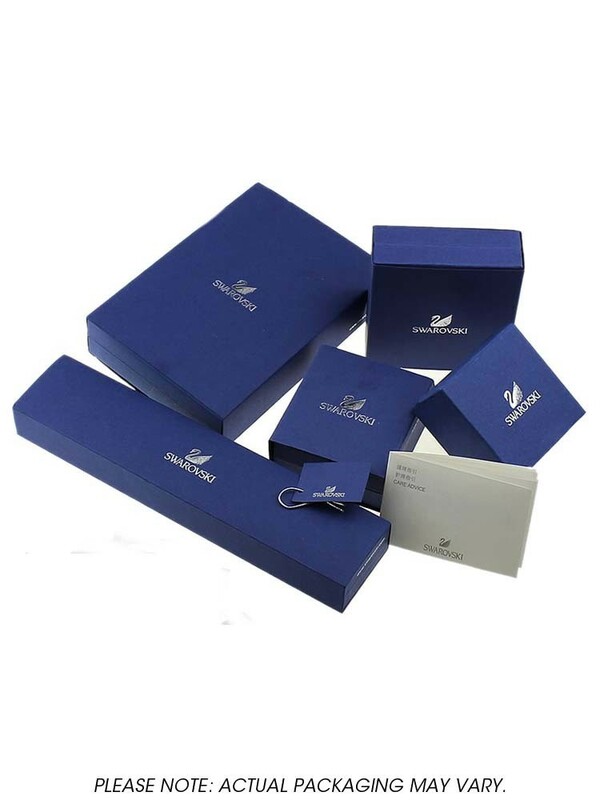 The bezel is also crystal set giving off a fashionable look. The watch is finished off using a steel bracelet which fastens securely using a push button deployment clasp.